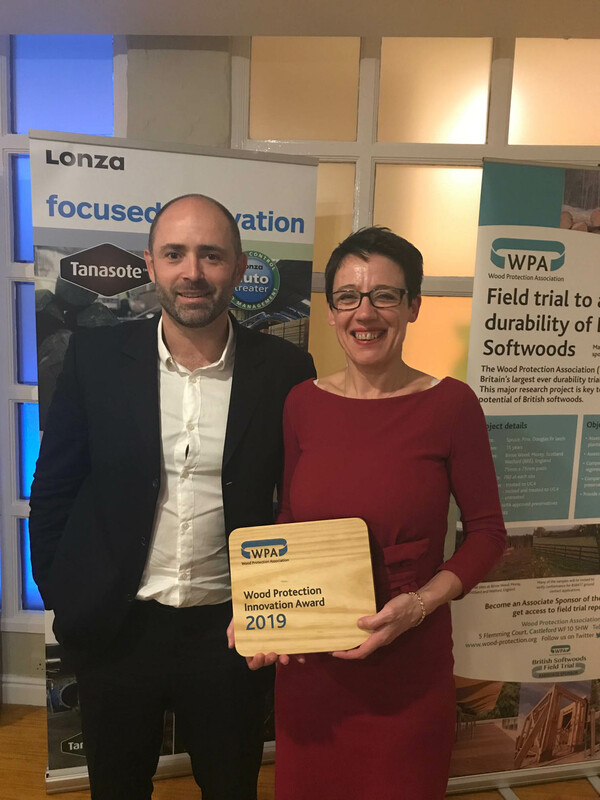 Lonza Wood Protection and our customers took 4 out of the 5 top spots this year at the 2019 UK Wood Protection Association (WPA) Awards event. 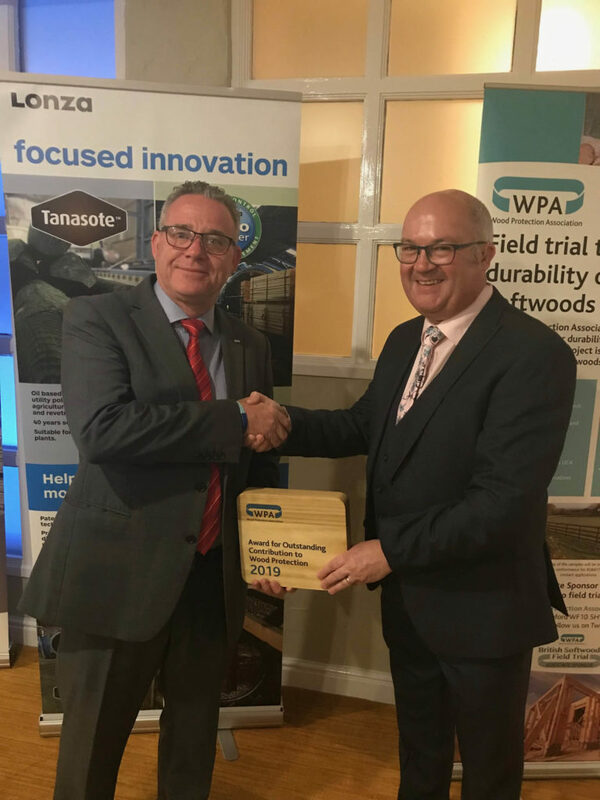 Dr Mark Hull, Lonza’s On-site Customer Technical Support Manager, took the Award for Outstanding Contribution to the Wood Industry. for Outstanding Contribution to the Wood Industry. 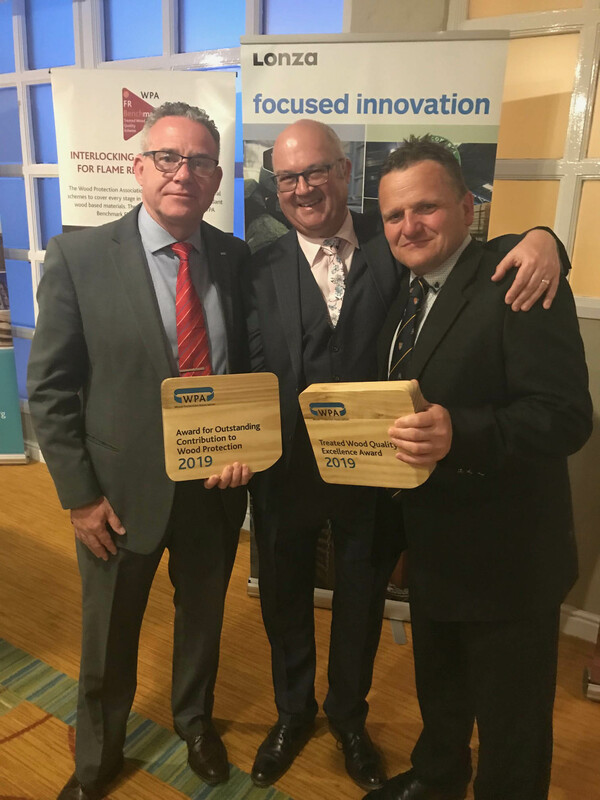 Three Lonza customers also came out top – Bond Timber won the Award for Wood Quality Excellence, Walford Timber took the Award for Treated Wood Trader of the Year and PiveteauBois won the Innovation Award. The winner of the project of the year was Specialised Panel Products. 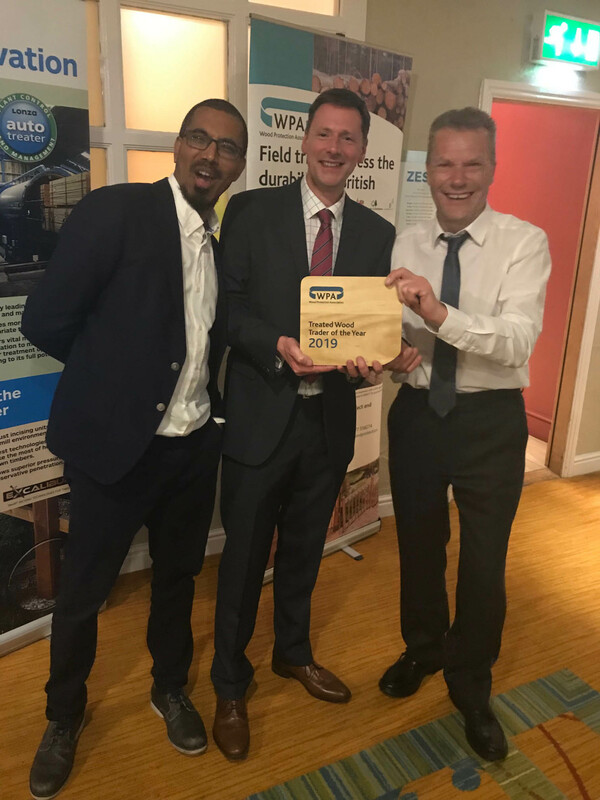 The Wood Protection Association (WPA) Awards are held each year to celebrate excellence within the wood industry. This year the awards ceremony was held at the Forest of Arden Hotel, Warwickshire, on Thursday 11th April. The WPA annual conference ‘Making the Most of Wood’ was held the following day. Key presentations from industry leaders included Elisabeth Piveteau-Boley – PiveteauBois, Ed Suttie, Dave Hopkins – TTF and Gordon Ewbank – WPA. The event was well attend by Lonza Wood Protection.